Fan Kuan (范寬, ca.950–1032) was a Chinese landscape painter during the Song Dynasty (960–1279). A native of Huayuan (華原, modern Yaoxian 耀縣) in Shaanxi (陜西) Province, Fan Kuan often traveled the area between the capital and Luoyang (洛陽). 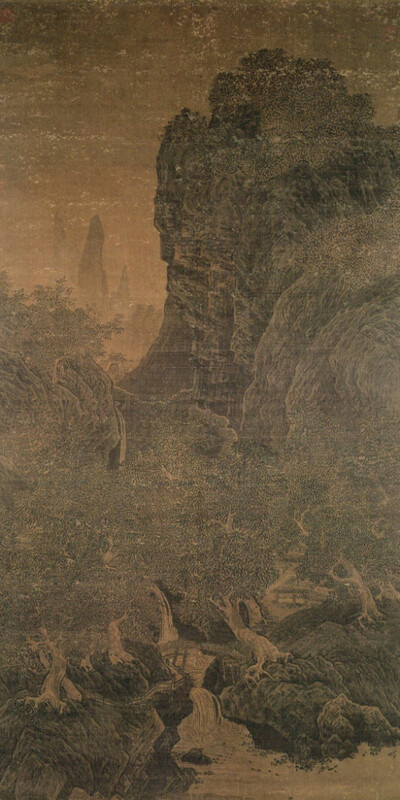 Although he was known for his magnanimous character, straightforward personality, and fondness of drink and Daoism, Fan Kuan is famous now for his landscape painting. In his early study of painting, he followed the style of the Shandong (山東) artist Li Cheng (李成, 919–967). 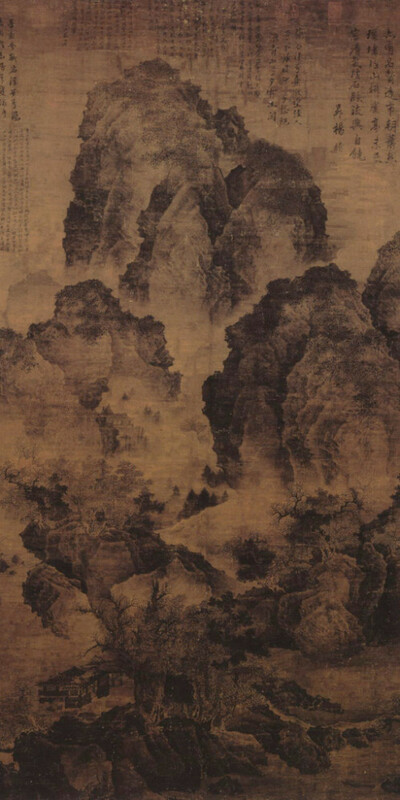 Later, however, Fan Kuan came to realize that if he really wanted to portray the land, he had to take Nature as his teacher rather than other artists or their works. After all, a personal landscape exists in nature and in the mind. Fan Kuan thereupon went to the Cuihua Mountain (翠華山) and secluded himself among the forests and mountains, devoting himself to observing the effects of atmospheric, weather, and seasonal changes on the scenery. Contemporaries thereupon praised him for being able to commune with the mountains. 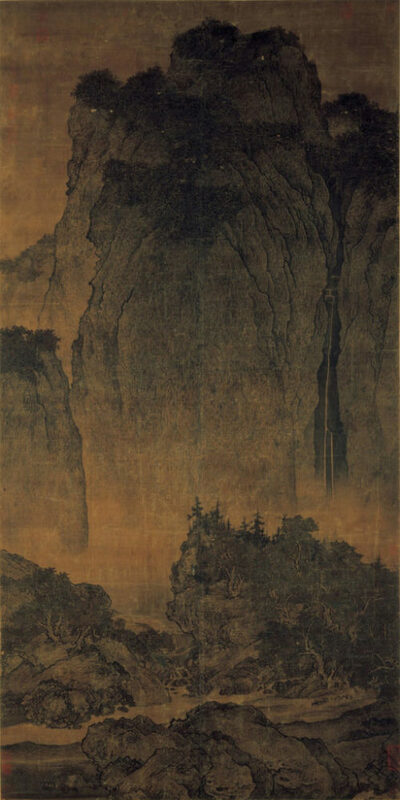 Fan Kuan painted a 206.3 cm (about 6.75 feet) landscape known as the Travelers among Mountains and Streams, which is considered one of the finest monumental landscape paintings by a Chinese artist. It also became a model for later Chinese painters. 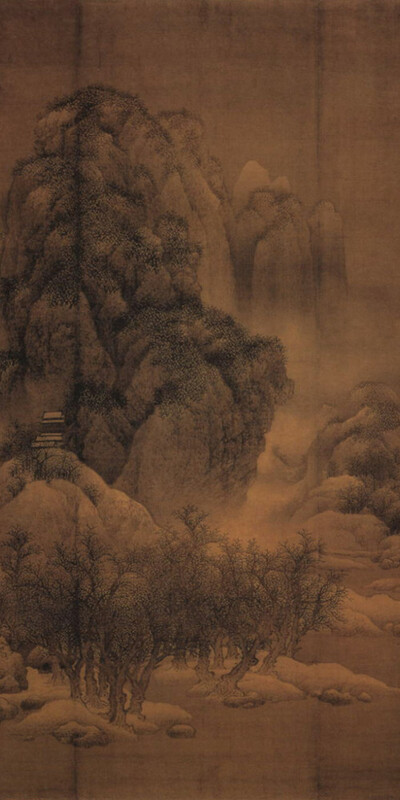 Fan Kuan based the painting on the Daoist principle of becoming one with nature. When looking at the painting, the viewer realizes how small he or she is compared to the big picture of nature. Little else is known of his life, except the admiration and love he had for viewing the mountains of northern China. Fan Kuan was listed as the 59th of the 100 most important people of the last millennium by LIFE magazine.